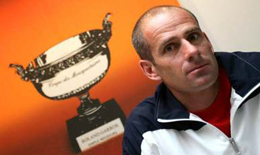 TECNIFIBRE is the official stringer at Roland Garros since 1988. Thank's to the French tennis federation which has been giving us its confidence. 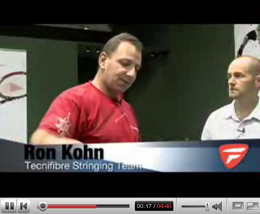 It's a fantastic exposure for the expertise of Tecnifibre in the stringing world. I want to thank all the 350 pro stringers coming from over 20 countries who took part to the stringing service over all these 20 years. 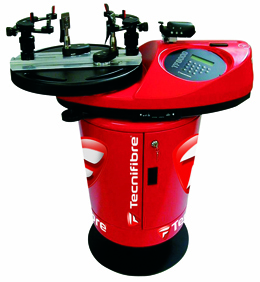 TECNIFIBRE and all its team organize a unique process inside of the most demanding tournament. For 2008, we will string again over 3,000 rackets on our TF stringing machines. From this top level experience, we will get the knowledges and the know-how, which are the key qualities of a market leader. Come and visit us on our stringing service stand, Roland Garros Stadium, as from May 25 to see the best stringers of the world !!! !